Can’t say I’ve seen a company help rock a religious month that hard. The nails say “Ramadan Kareem” (literal meaning is ‘Ramadan is Generous’ but it’s just a way of saying Happy Ramadan essentially). 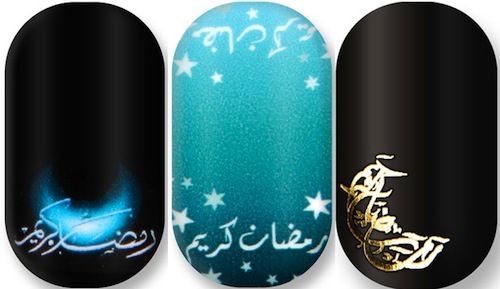 Now, they just need to make Eid Mubarak (“Blessed Eid”) nails. It kinda tickles me. Probably most ironic is some Muslim women would choose not to don nail polish-anything when they pray (and that’s 5x a day). Either way, I think it’s a cute gesture. And that gold on black Arabic script looks pretty cool. So, yeah. File that under Ramadan 2012. Or not. 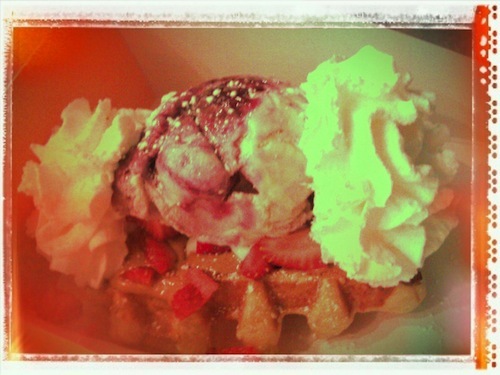 Belgian waffle from the Wafels & Dinges truck. Raspberry Ripple ice cream. Sliced strawberries. Whipped Cream. and Spekuloos spread*. 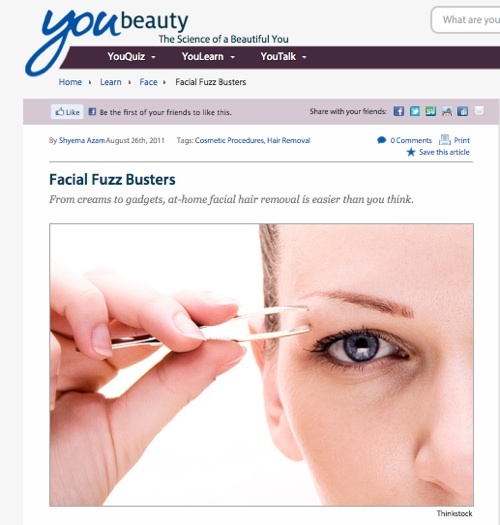 Facial Fuzz Busters – From creams to gadgets, at-home facial hair removal is easier than you think. Red in the Face? It could be Rosacea – Permanently flushed cheeks and stubborn little pimples are telltale signs. 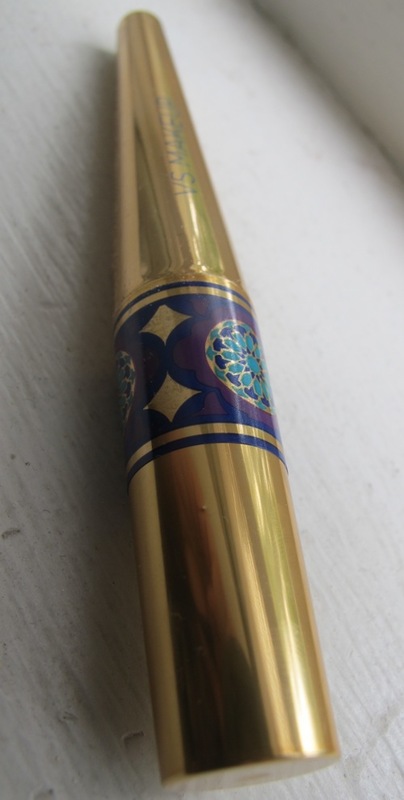 I came across this kajal eyeliner from their limited-edition Hypnotic Beauty Collection first when scouring their website recently. 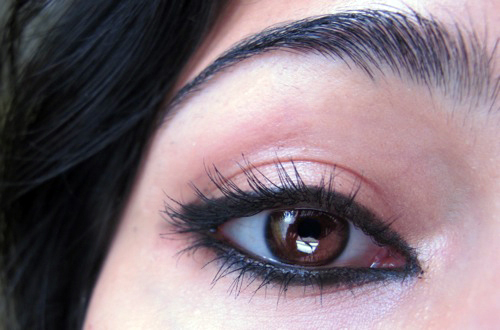 If you remember, the last kajal eye liner I tested (and loved) was Guerlain’s Kohl Kajal which costs about $36. But if you don’t have that kind of dough to shell out, get this: VS’s costs less than half that — $15! 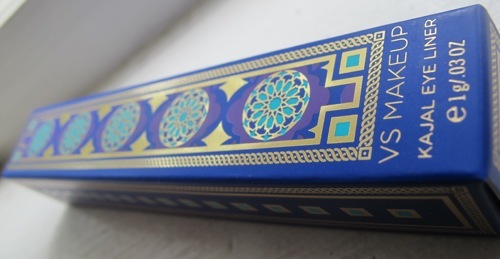 I’m a sucker for packaging, and the royal blues box design and gold case that it comes looks like it’s ready to take a trip down the runway itself. 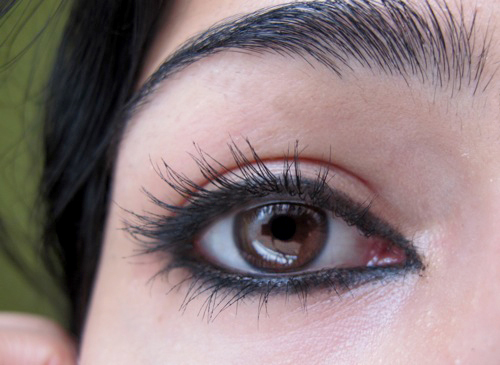 Keep in mind, the kajal stick is comparatively a bit shorter than Guerlain’s so could be that it won’t last as long. But the real test for me was how it applies. 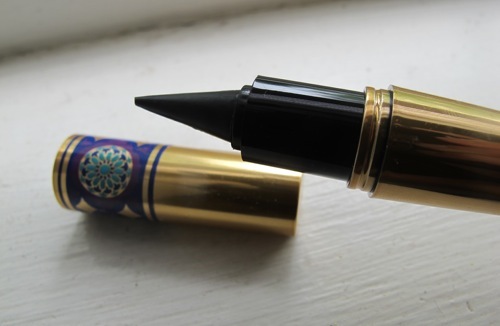 I tried it for the first time this morning and it has an extra pointy tip to make it easy to apply on your lids and waterline for an intense effect that can easily be smoked out. I’d run to VS to get this one — especially considering it’s from their limited-edition collection. Victoria’s Secret Hypnotic Beauty Collection Limited-Edition Kajal Eye-Liner can be purchased at stores or online at victoriassecret.com. Will you be buying one for yourself? 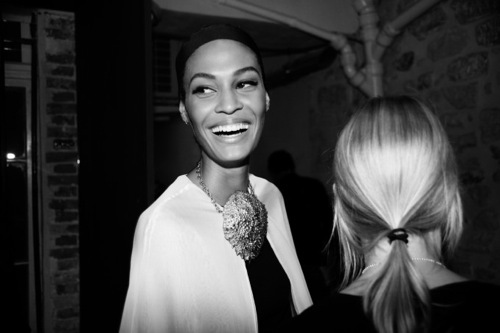 And there’s absolutely nothing wrong with making it your “I-survived-Hurricane-Irene” gift to yourself ;).